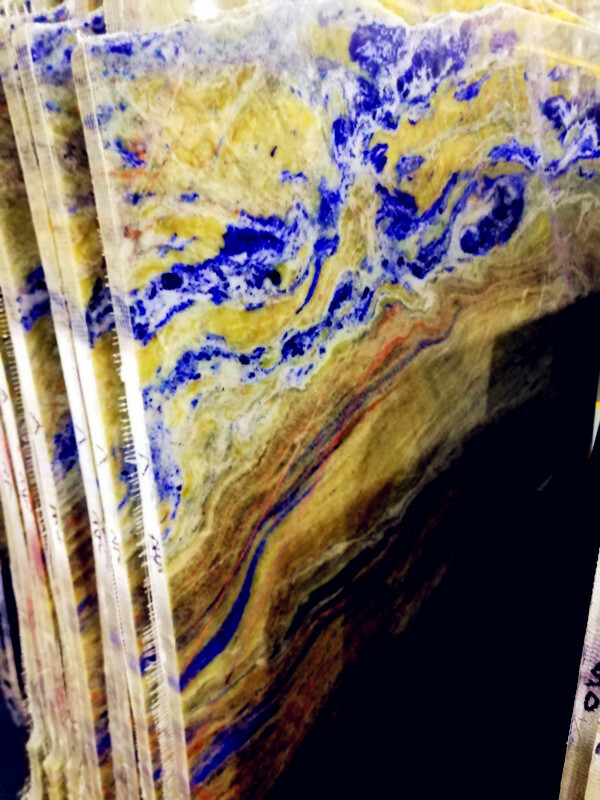 This blue Semi Precious Tiles slab series has clear lines, including yellow, blue and white. Blue and white looks like the combination of sky and ocean. Yellow looks like land we live on. The slab texture looks like sea wave. The back of the blue sodalite slab is covered with mesh to make the slab stronger. Mainly being applicated as wall tiles, floor tiles, table top, countertop-.. Size: we sale all the slabs from one whole block, if you feel interest, please contact me for the detailed size list. If you prefer the slab to be translucent, we can make the slab 0.5cm thick, laminated with glass or Acrylic. Our quarry start to yield two kinds of sodalite blue granite(actually sodalite) blocks, big size blocks, small size blocks in 2018. Max size of big block can be about 250*180cm and weight about 15-20 ton per block. Small block has two sizes: 3-10cm 10-30cm . Annual yield of blocks is about 100containers. Looking for ideal Semi Precious Tiles Manufacturer & supplier ? We have a wide selection at great prices to help you get creative. 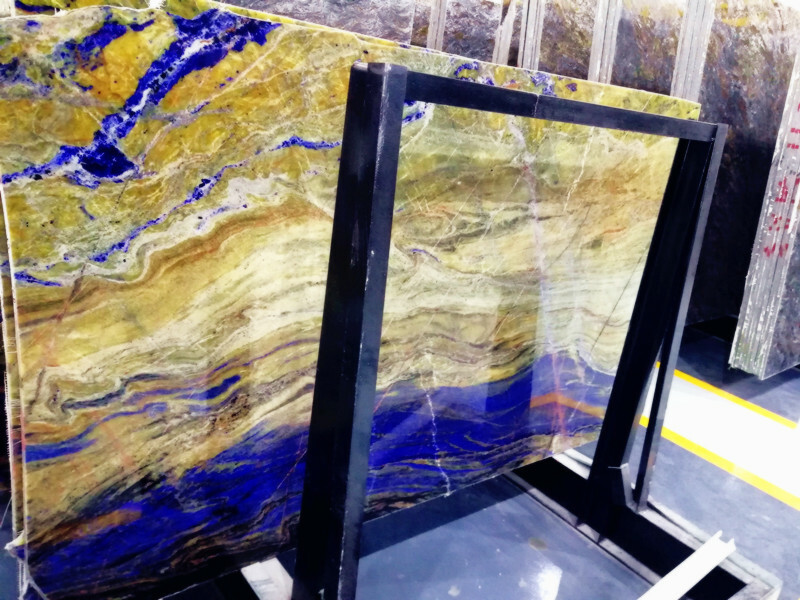 All the Sodalite Blue Granite are quality guaranteed. We are China Origin Factory of Clear Transparent Stone. If you have any question, please feel free to contact us.